The Upper Missouri River Breaks National Monument Transportation Map will withstand punishing conditions hunters encounter. 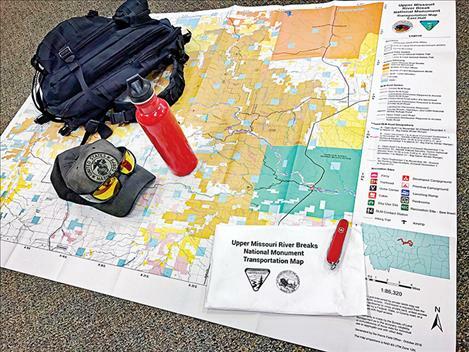 The map has detailed information, including the locations of: primitive and developed campsites, hiking trails, open roads, landing strips, boat ramps, land ownership, day use sites and more. FORT BENTON – Hunters looking to feed their families or mount the next record-breaking trophy to their wall have their sights set on the heart of Montana. Upper Missouri River Breaks National Monument Transportation Maps can be purchased for $10 at the Bureau of Land Management Offices in Havre and Lewistown.